KangHee Kim, Chaos Theory (detail), 2017, courtesy of artist. New York-based artist KangHee Kim creates digitally collaged photographs to juxtapose mundane scenes in New York City and natural settings at various locations in the US. Originally from South Korea and now living in the US as a DACA recipient, Kim faces numerous visa restrictions. Her surrealist, imagined landscapes serve as a means of liberation and travel. 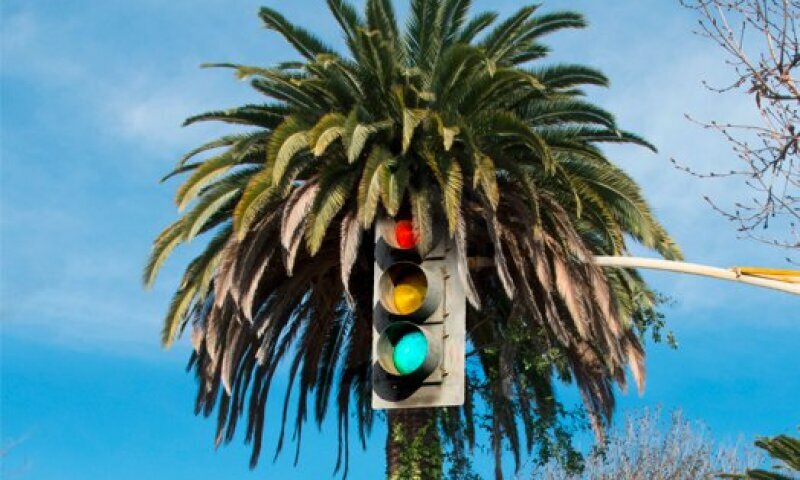 The works on view in Wave Hill House reveal New York commuter-train seats, traffic stoplights and snowy car-windshields spliced together with images of palm trees and downy clouds from Kim’s West Coast visits. With her Photoshop prowess, closed doors become backdrops for sunset ocean views and a stairwell elevates the viewer to a mile-high aerial scene among the clouds. Subverting her real-life travel restraints as a DACA “DREAMer,” Kim layers landscapes to create fictional, fantastical perspectives. With this exhibition, we hope to inspire viewers to reconsider their own routines and commutes, including their journey to Wave Hill, with a new sense of wonder. Kim’s painterly, dreamy style has prompted viewers to read her work as meditative and therapeutic. Indeed, the artist’s affinity for image-layering and world-building harkens back to her training as a painter at the Maryland Institute College of Art. Sought after and supported by commercial conglomerates such as American Express, fashion companies such as Adidas and Rachel Comey, Kim’s work has also been included in the recent exhibition Weather at Seoul’s D Museum, and has been collected by Instagram’s headquarters. She is represented by Benrubi Gallery in New York.